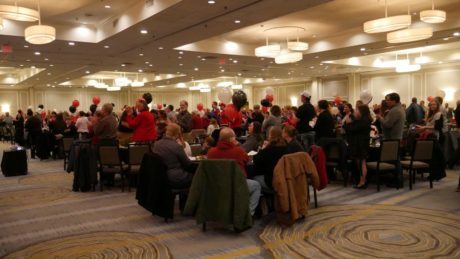 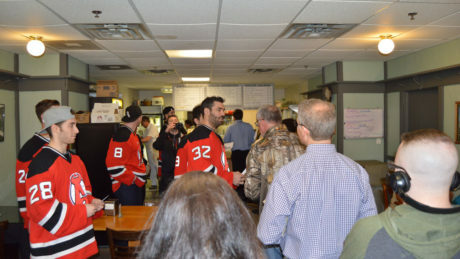 The Devils took to the streets Wednesday afternoon to “Paint the Town Red.” Players and Devil Dawg handed out complimentary tickets to Games 1 and 2 and stopped to interact with the people of downtown. 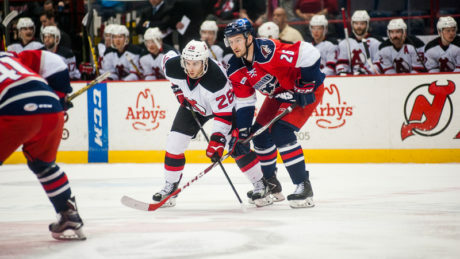 Behind the lens of the Devils 2-1 win against the Senators. 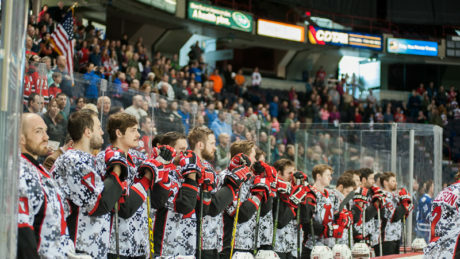 Check out these images from the Military Appreciation game. 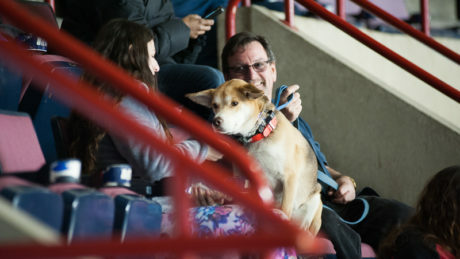 Check out images of Pucks And Paws and the Devils’ 3-0 win. 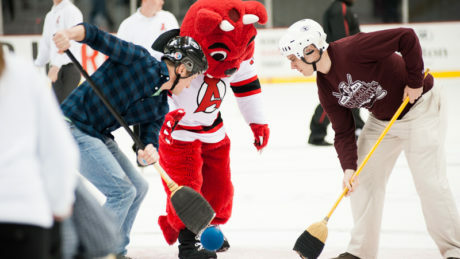 Go behind the lens of Saturday’s game between the Devils and Falcons. 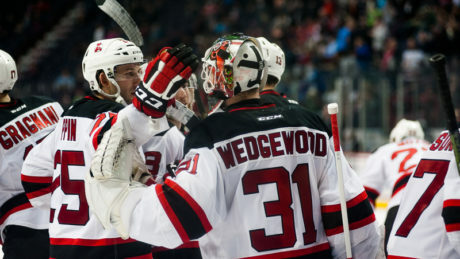 Go behind the lens of the Devils 3-0 victory against Hartford. 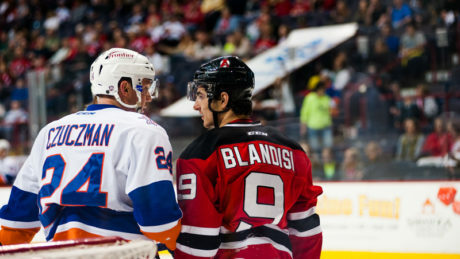 Go behind the lens of the Devils 4-1 win against the Falcons. 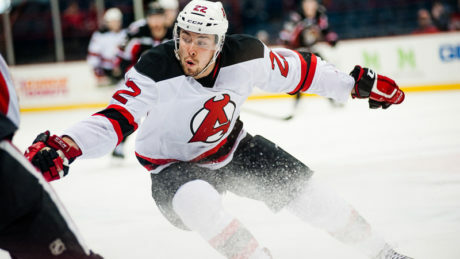 Here are some of the best images from the Devils 2-1 shootout loss against the Bruins. 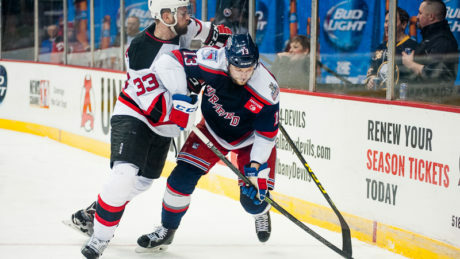 Here are some of the best frozen moments from the Devils 3-2 win against the Marlies. 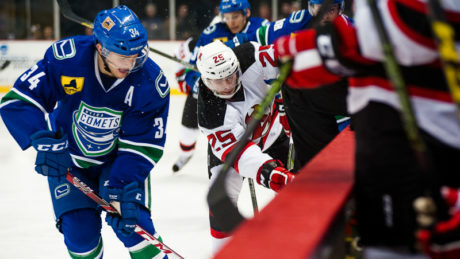 Go behind the lens of the Devils 4-3 win against the Comets Saturday.